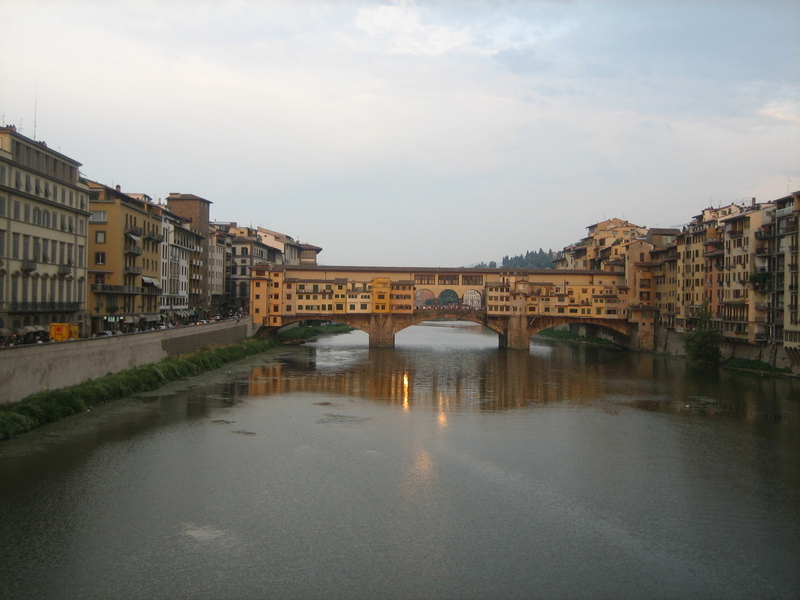 Ponte Vecchio, Florence, near the site of the conference venue. 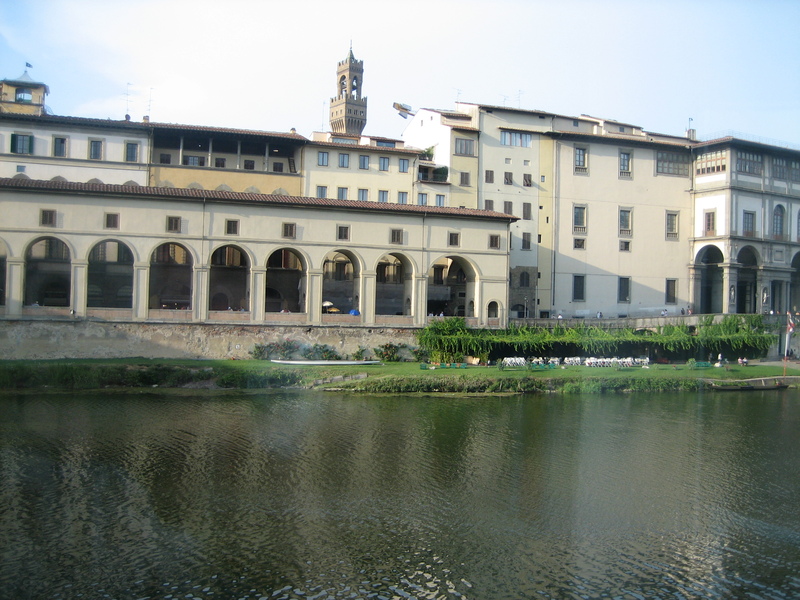 The view across the Arno River, from the venue for the first night reception. 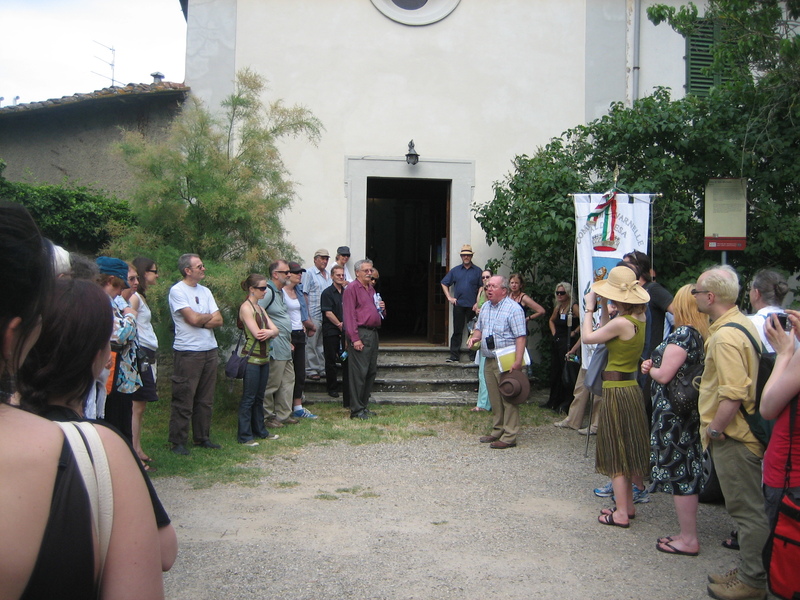 Outside the church, the site of ferocious fighting, Chris Pugsley (near Centre, holding a hat and a yellow document) explains to delegates the World War II battle at San Michele. This special excursion took place on the second day of the conference. 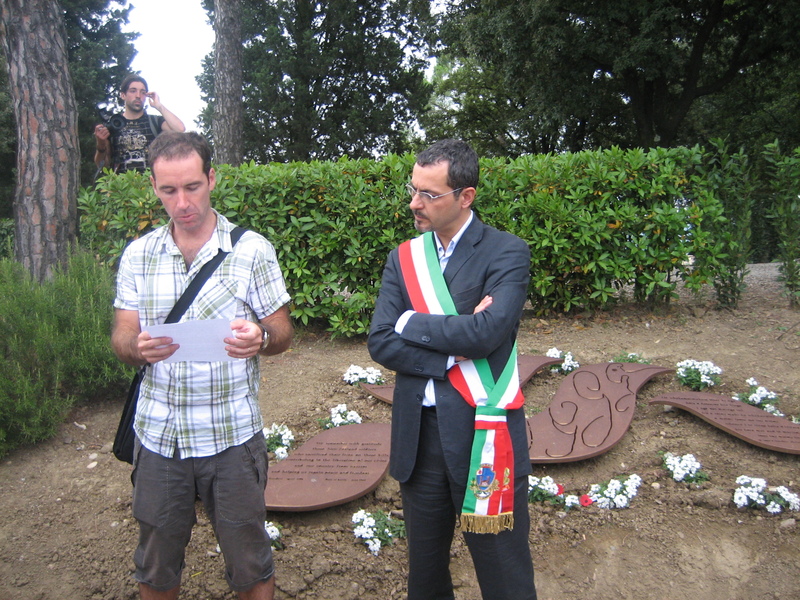 NZSA Vice-Chair Dominic Alessio (left), with the Mayor of San Michele, at the ceremony conducted in front of the memorial to the New Zealand soldiers who fought at San Michele and the surrounding region. 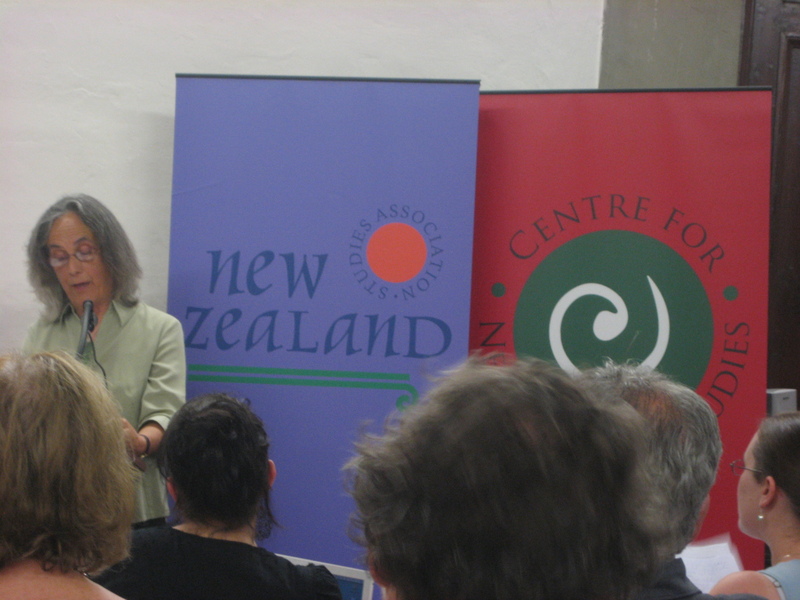 Patricia Grace, the closing keynote at the conference. 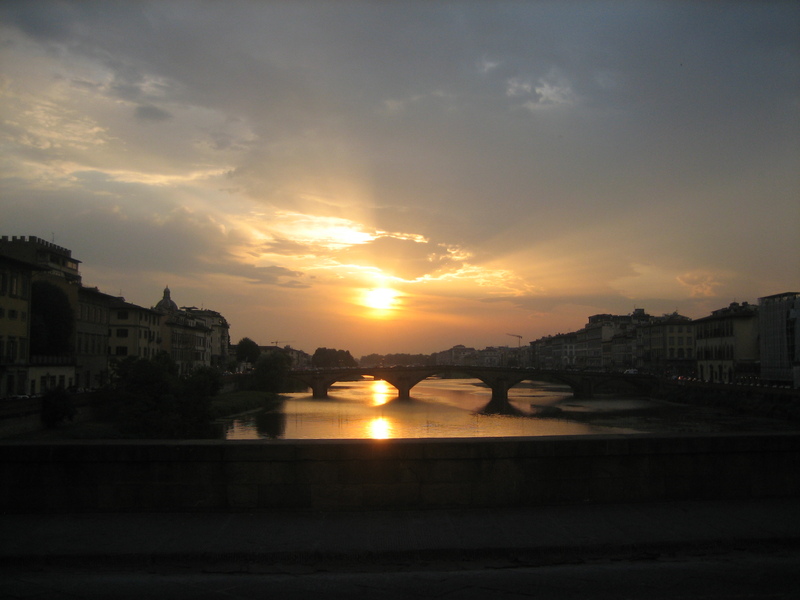 Sunset over the Arno River, Florence.